Hey everyone! For the month of September the PPU group chose the theme Fall Foliage & Fun. I gotta admit, at first I was very skeptical. I figured everything would be orange, red, and yellow..3 colors I don't particularly care for. But I've been pleasantly surprised with what the makers are putting out. 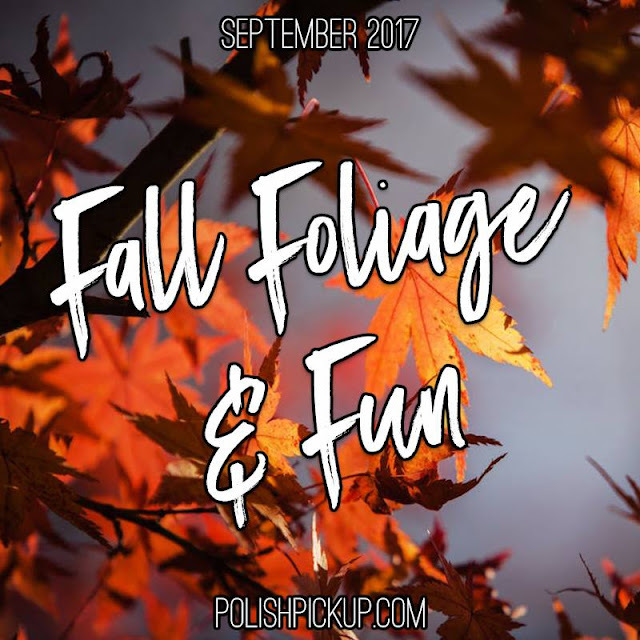 If you want to check all the polishes, be sure to join the Facebook group! 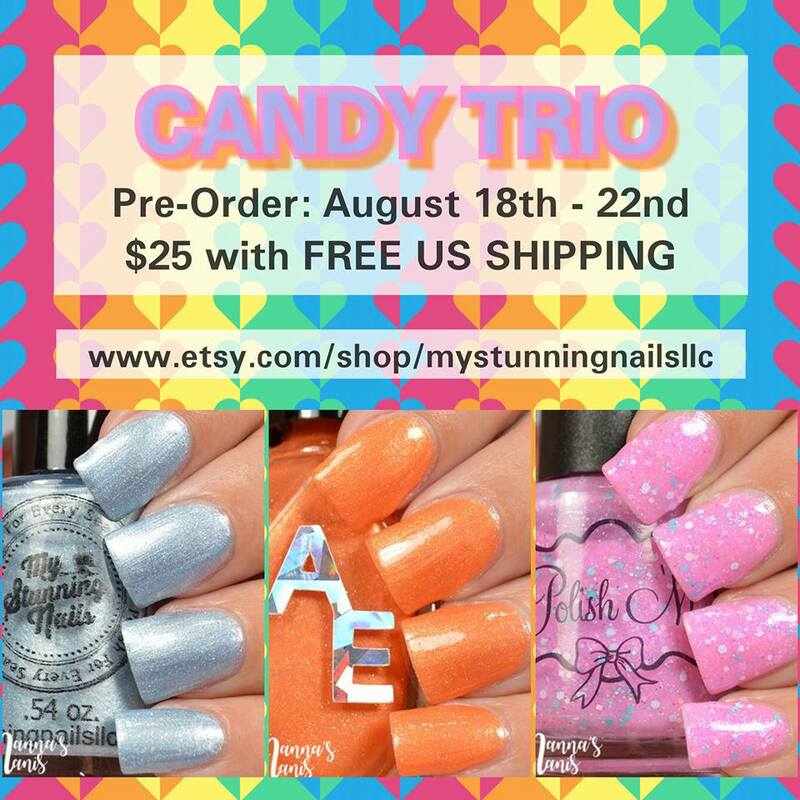 Today I'm going to share submissions from Nail Hoot, Jior Couture, and My Stunning Nails! Happy Friday guys! Any exciting plans for the weekend? I think this coming weekend is the first weekend since June that I haven't been busy with something. Summer is winding down, and it's back to being bored at home allll the time. Today I have the August DOTM to share with you all! Hey guys! 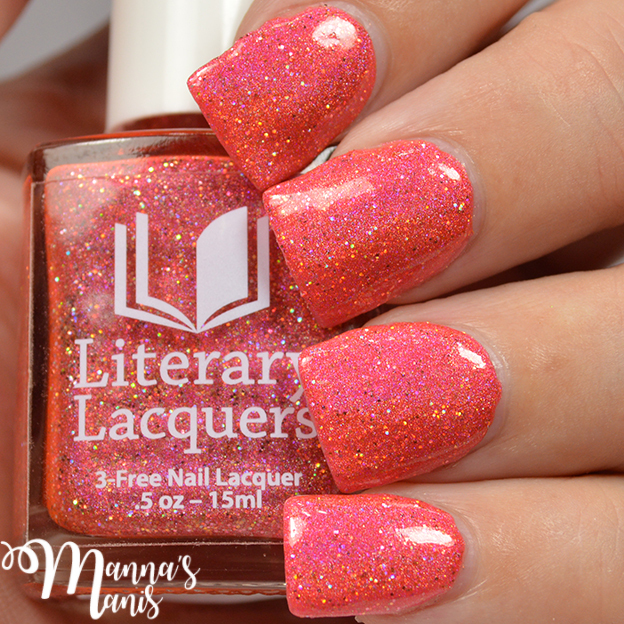 Late post for me today, but I wanted to get this polish up because this is Amy's (Literary Lacquer queen) birthday! 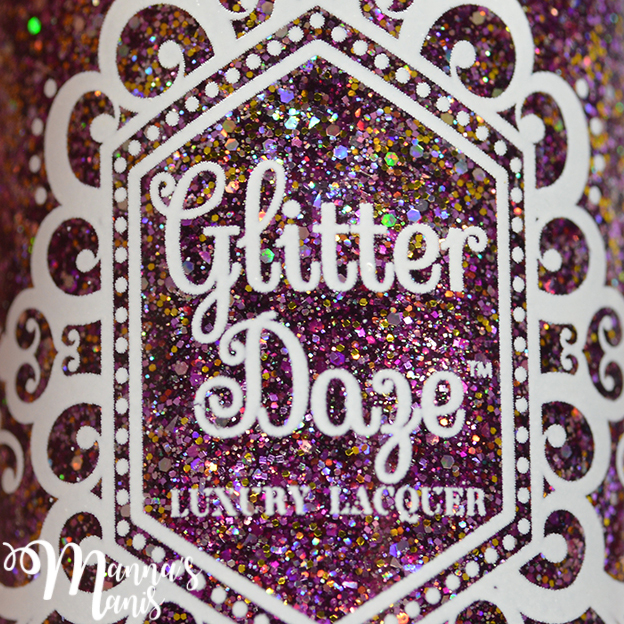 This is a limited edition polish, so quantity is limited. If you want it you better grab it soon! Hey everyone! Fall is fast approaching.. I know..what the heck, were did summer go? Not that I really care though, I absolutely hate the heat. I count down the days until I can wear a hoodie, sweat pants, and boots. 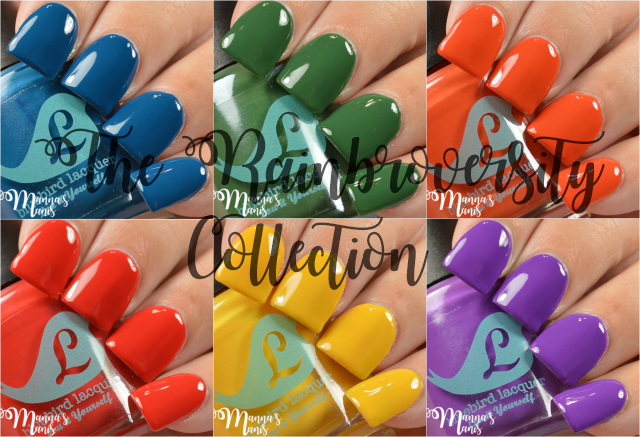 Bluebird Lacquer (aka Lou It Yourself) is releasing a Rainbro collection this Friday that consists of 6 fall cremes and a special fall glitter topper. I also attempted a watermarble, so be sure to check that out at the end! Hey guys! Wow, I haven't blogged in a long time, sorry. Summer is a busy time for me! Last week I went to Nashville with my bestie to a Matchbox 20/Counting Crows concert and now this week I think I'm getting sick. 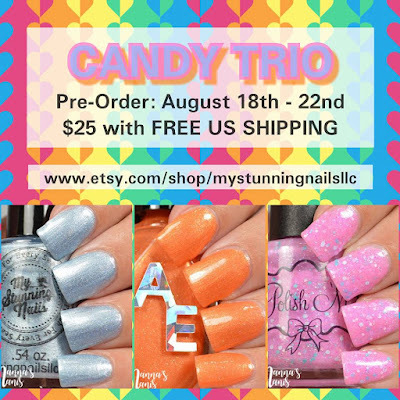 My PR pile keeps getting higher so this is the worst time for me to get sick :( Anyways, I have a cute trio of polishes inspired by candy/sweets & treats to share with you all today!